1. Your company website: the home of your digital content. Your campaign should occupy a prime location on your site. 2. The web-based form: for more specific prospect details, make your the content in your campaign conditional – ask prospects to complete a “request for download” form. 3. Your blog: use it to promote your campaign. Are there other blogs that will feature your links? 4. Email marketing: Market to your database by using creative email marketing to point prospects to your campaign content on your website. 5. 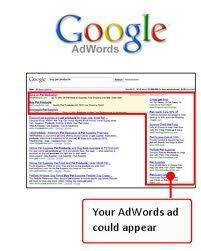 Google ads: Create a new ad to point clickers through to your campaign. 6. Press release: If the content in your campaign is suited to a press release, why not look at one of the press distribution tools such as PRWeb? 7. Twitter: Tweet daily, schedule tweets, auto-respond…the list goes on. 6. StumbleUpon: Remember to “stumble” links to your campaign. 8. LinkedIn: Update your company pages with links to the new campaign, and post links to relevant LinkedIn groups. Make use of LinkedIn ads. Same goes for Google+ and Facebook – if these channels are relevant to your universe of prospects, you should be updating these channels with links to your campaign. 9. Youtube & Vimeo: Is your campaign based on video or audio content? These channels are great for hosting and distributing your video & audio content. If your campaign is not a video or an audio file….could it be converted into these formats and marketed this way? 10. Interlinking: Remember to interlink old and new web content to your campaign.